NF (6135) - Hurdle remain same at 6125-6145 But trade above this level move to 6190-6210 & 6250. downside support remain same at 6010-5990. 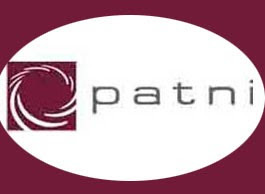 PATNI (484) - Above 485 go upto 497-502 but trade and stays above this level, upmove continue to 525. JINDALPOLY (551) - Posted on 27 oct. face hurdle at 695-705 and expect correction . as expected it went upto 694 from there it is falling down. now what next ? Last hope and strong support exists at 525_515 but trade and close below this level, down fall continue to 405_385. HINDALCO (224) - Yesterday bottomed out at 216 so hereafter weakness below that level only and now trade above 224 go upto 238-242 and above that 262.